As the battle by the people of Delta North begins to determine who succeeds Governor Emmanuel Uduaghan 2015, the ward congress of the Peoples Democratic Party (PDP), Ika south local government area last Saturday turned bloody, sending to the hospital a former Speaker of the House of Assembly, Mr. Martins Okonta. Trouble started at the state PDP secretariat in Asaba when Mr. Okonta protested against the choice of the Returning Officer for the ward congress. His protest resulted in a bloody fracas between him and other party members who resisted his objection to the Returning Officer. It was gathered that Mr. Okonta was advancing the interests of a former Secretary to the state government and current National Assembly member from Delta North, Senator Ifeanyi Okowa. 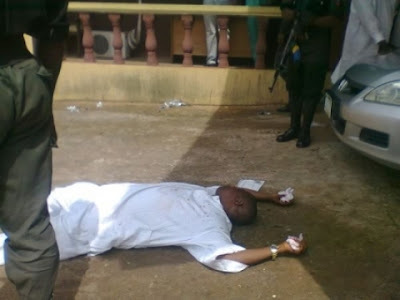 In the heated argument which followed, Mr. Okonta, who is the himself the representative of Ika South constituency in the Delta Assembly, was assaulted he lost consciousness. He was immediately rushed to St. Luke’s Hospital. In his reaction, the Returning Officer, Mr. Oritsbubemi Nanna, who was also attacked, accused Mr. Okonta of masterminding the fracas.